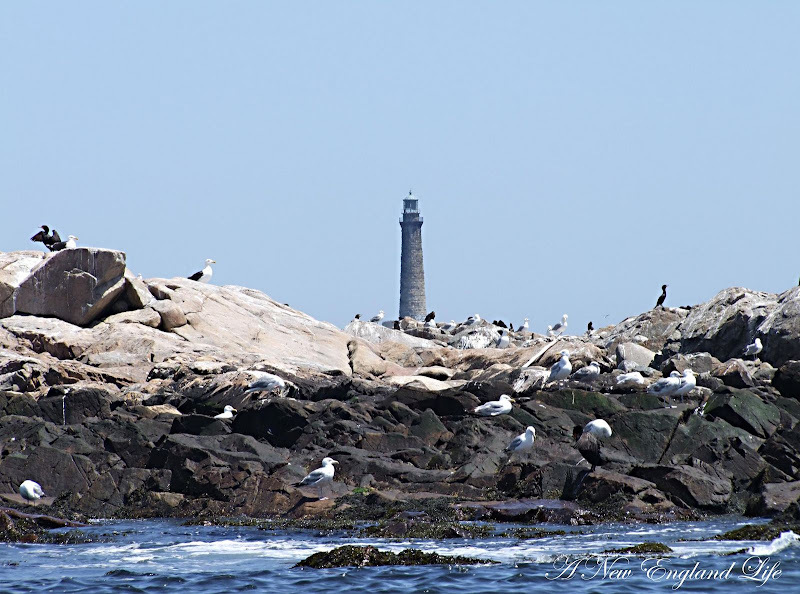 Milk Island is a very small island located just off shore from the Twin Lighthouses in Gloucester, MA. It is completely owned by birds! Milk Island! But I have not seen one cow on it! I landed there years ago and was attacked by gulls. I mean viciously attacked! It’s a prime nesting spot and they defend their nests like you wouldn’t believe! I used to tell anyone interested in visiting Milk Island to expect Iwo Jima! When I went there I happened to have a Red Sox batting helmet in my boat that saved my skull! The gulls would dive and hit you in the head with their beaks! Now that you brought it up I can still hear the ringing! The ship you see in the background is the fishing vessel Challenger coming in to port. That's a LOT of Gulls and Cormorants! After doing a little research I learned the keepers dwellings were built around 1861, the same time as the twin lighthouses were re-built. The buildings were originally white with red roofs, traditional keeper-house colors, but when they were renovated in 2002 the colors were changed over to a mostly grey exterior. Hope you enjoyed a trip back to Gloucester, MA. We'll be headed back real soon! 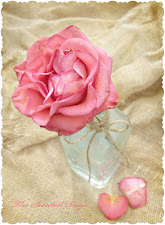 Sharon, your blog always leaves me drooling over such gorgeous sites. I can't wait for my trip next year. Among other places, we'll be visiting New England. 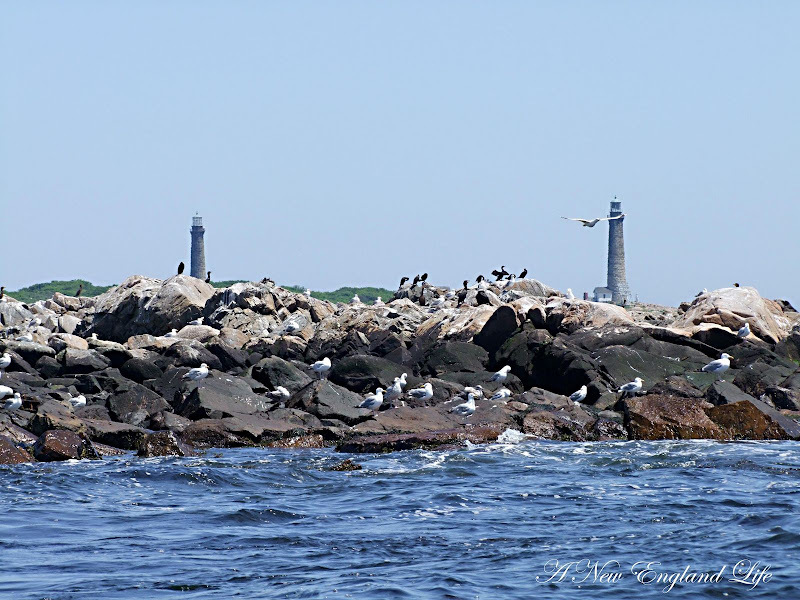 I am definitely visiting Cape Cod, and for sure Cape Elizabeth, Plymouth and a few other areas. I can't wait to see all the pretty fishing villages and the lighthouse that I love. I really want to visit and see New England through your eyes. You sure capture it beautifully through your lenses. We are coming east again the first of October, but too soon to see the beautiful foliage of fall. 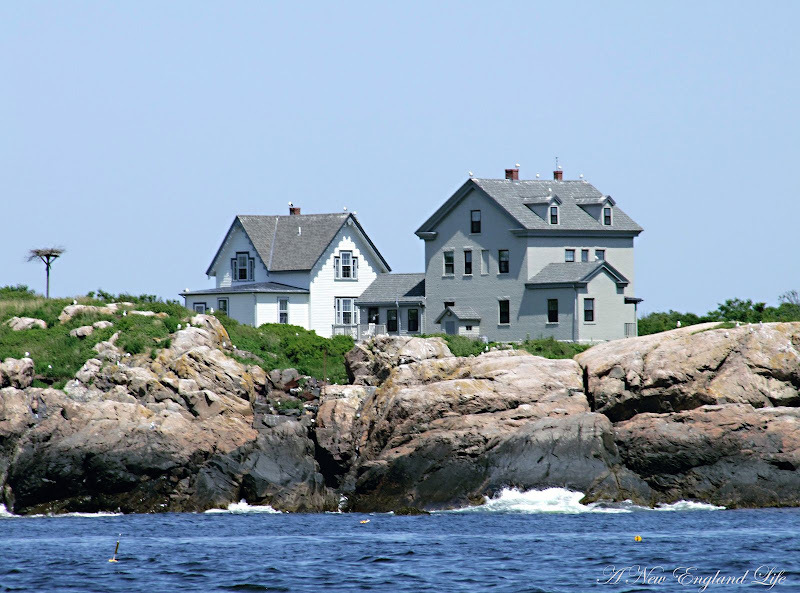 I have never been to New England,but I sure enjoy looking through your lens..great shots..and no I wouldn't have gotten any closer either..
Hmmm, wondering why they chose to paint the houses gray. Makes them look rather sad. So the keeper and family lived out there with all those gulls and comorants? Or did those birds only recently take over the island. We have a few islands in Lake Champlain where the same thing has happened. Boy, I'll bet gull beaks HURT too! The scenery is just so very different than we have here Sharon. Every time you post these shore photos, I feel like I am looking at a travel guide. Really enjoyed this post! Fun comments and wonderful photos! I think those houses would be adorable with red roofs! 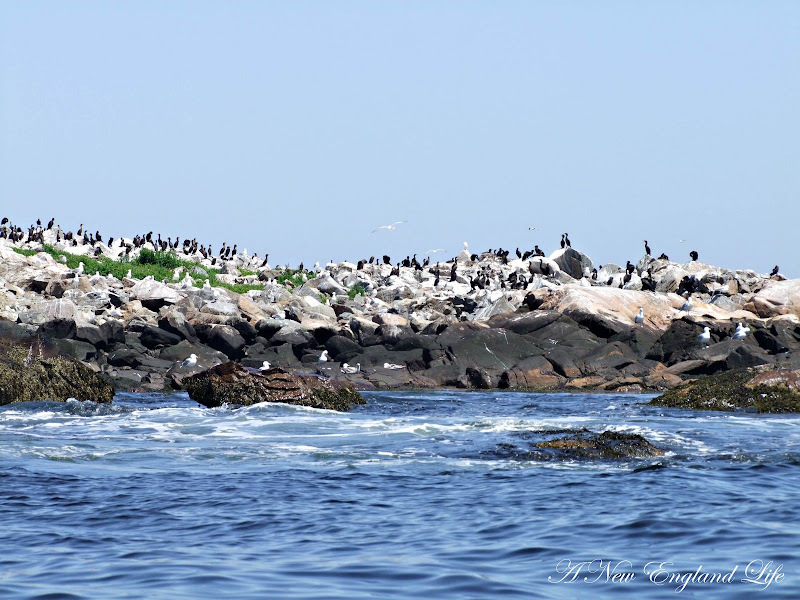 Can you imagine the bird poop on Milk Island? LOL! Great photos of all the birds!! And the waves, too, for Watery Wednesday! I wonder if the gulls would be so vicious if they did not have eggs or young chicks? I have watched birds dive bombing a cat to protect their fledglings, but they never made contact! Gloucester is such a wonderful place. I also love Manchester-by-the-sea. Your photographs are stunning. Great shots Sharon! Another note: I went out there when I was about 16. 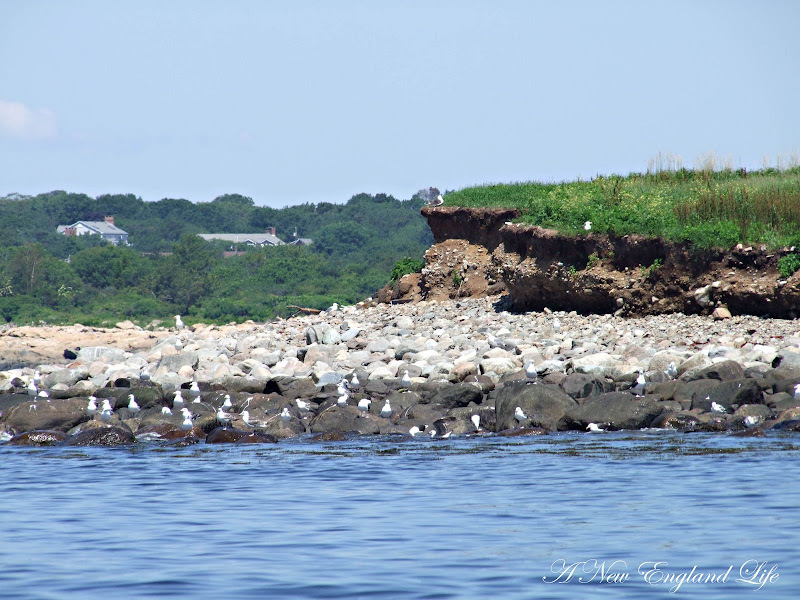 I heard a story that someone spent several weeks on Milk Island to study gull nesting habits. I did discover a run-down make-shift hut with some battered pots & pans. One of the pots was randomly "dimpled" on it's bottom. It was clear to me it was used as a helmet! LOL Jay. If I may suggest that it is called Milk Island because it tends to turn white from the gull pooh? I had a lot of fun getting these shots and was completely captivated by the birds! Who knew they could be so mean? I was there at the beginning of July so I'm assuming many were nesting. Glad we didn't get too close! 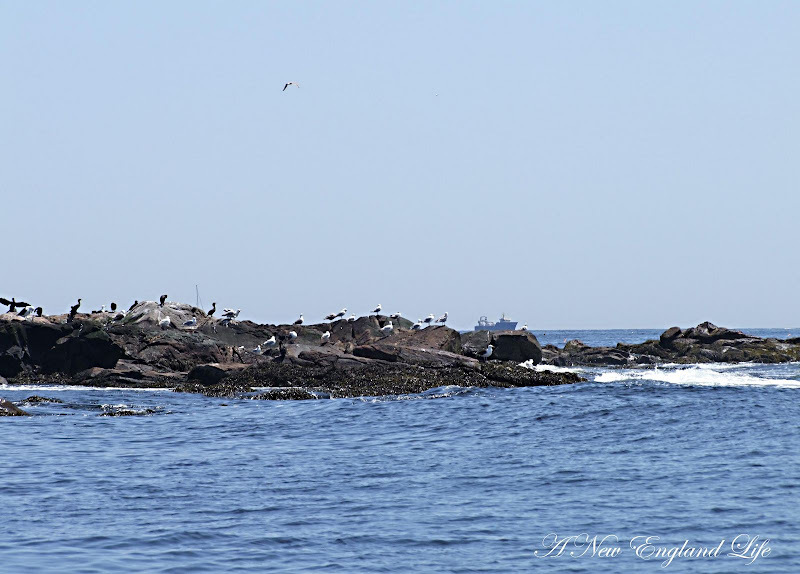 Cape Ann is a beautiful area with so much to offer (especially to a photographer), mean birds and all. LOL! Beautiful photos! I think I'd like the red roofs better than the gray. Wouldn't like to meet up with those gulls! I enjoyed your pictures, I love the birds and coastal photos. 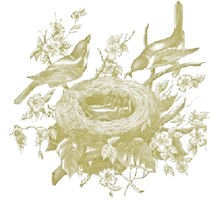 The birds can get pretty protective of their nest and chicks. Certainly is a lot of birds. Such gorgeous pictures. Makes me long for the coast. I also love the light houses. Well I guess I'll wear my Patriots helmet before I set foot on Milk Island. You're a brave girl to venture there after Jay's warnings. Hi Sharon. Great photos. Your friend Jay made me chuckle. Is the keepers dwellings jut one large house? It looks like two. Are there two keepers? One for each lighthouse? Great photos Sharon..I feel like a broken record..LOL..but they are..
Hee hee..i can see why u didnt get close to the birds...funny converstation with your friend! You really capture the flavor of New england beautifully.